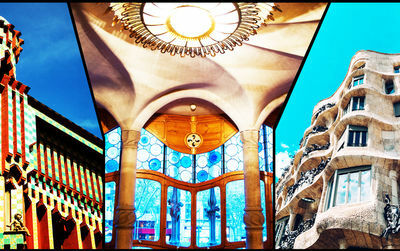 Gaudi Barcelona - The architect and his works: Sagrada Familia, Pedrera, Guell. 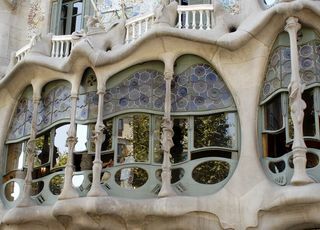 Architect and designer, Antoni Gaudí was at the forefront of the Art Nouveau movement in Spain. 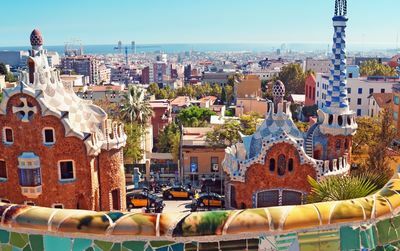 His work in Barcelona led to the creation of some of the city's most notable landmarks. 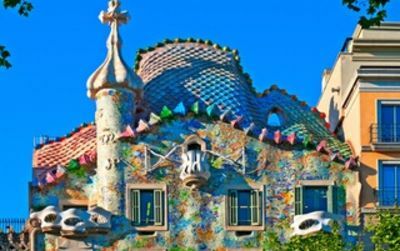 Gaudí was a pioneer in his field using color, texture, and movement in ways never before imagined. His works, both finished and uncompleted, stand as testimony to his genius. 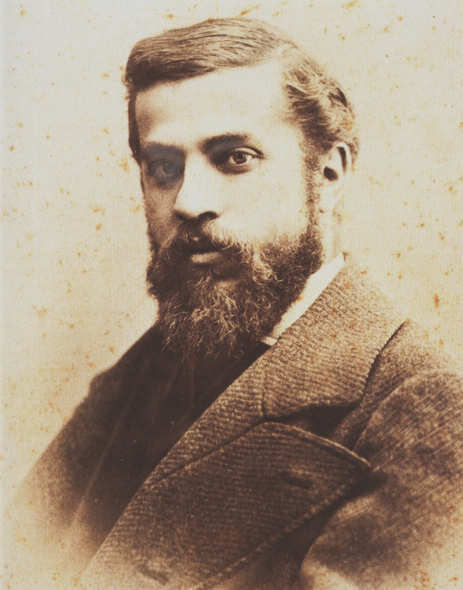 Antoni Gaudí i Cornet was born on 25 June 1852 in Reus or Riudoms in Catalonia. An uncertified birthplace, but a child surrounded from birth by a father and a grandfather boilermakers who taught him essential notions for his future: making with his hands and having a sense of volumes. A child in delicate health who will spend very long periods observing the nature: "the supreme work of the creator". 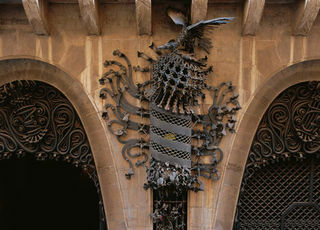 It was at the age of 18 that he began his studies as an architect in Barcelona. Gifted for drawing, exempt from military service because of his health, he collaborated during this period with many architects for whom he drew and thus paid for his studies. He developed a taste for history, economics, geometry, philosophy and aesthetics. He will be an average student but not an insignificant one. Its director will have this famous phrase at his graduation ceremony: "We awarded the diploma to a madman or a genius. Time will tell". 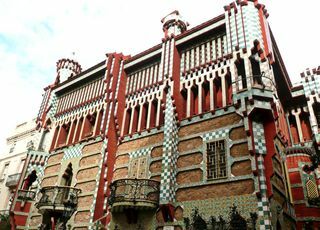 Gaudí's career really began with the construction of Casa Vicens. Long closed to the public, this house can be visited since the end of 2017. From this first project, the young architect found his way away from his first inspirations: Eugène Viollet-le-Duc and the neo-Gothic style to become part of the Art Nouveau movement which then took off all over Europe. 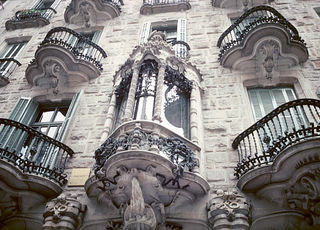 In Catalonia this style took the name of Modernisme. 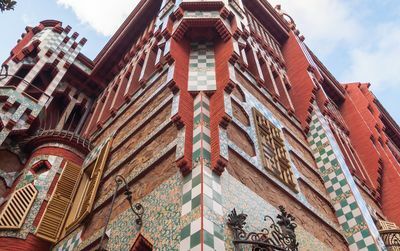 The Casa Vicens will be a concentrate of his first traits of genius and the flight of Modernism: shapes still geometric on the outside but nature, Orient with its colors and mosaics are sources of inspiration on the inside. 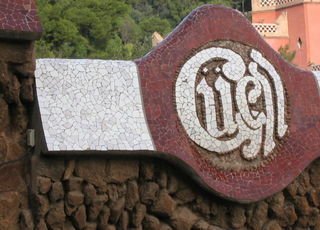 Gaudi has long been associated with a wealthy industrialist, Eusebi Güell. A true friendship, mutual admiration and a flamboyant era in the country's economy gave birth to some of the architect's most beautiful works: Finca Güell (1884-1887), the Güell Palace (1885-1889), the Crypt of the Colonia Güell (1898-1915) and finally the Güell Park (1900-1914). 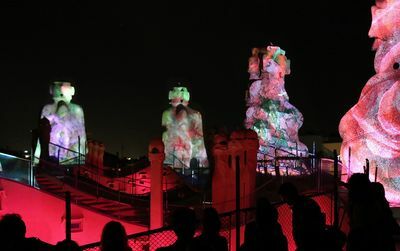 The 1888 Barcelona World's Fair welcomed more than 400,000 visitors and Gaudí designed the pavilion of the Compagnie Transatlantique. At the turn of the century he was a renowned architect, involved in many projects. 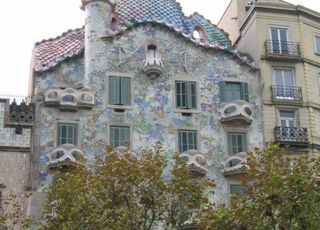 In 1900, he received the prize for the best building of the year for the Casa Calvet (1898-1900). 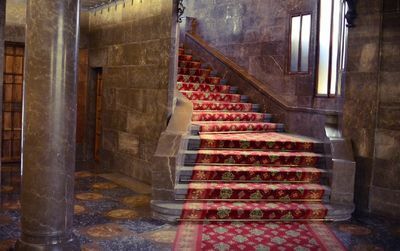 The Casa Bellesguard, the restoration of the Cathedral of Santa Maria de Palma de Majorca and two of its most emblematic works, two houses: the Casa Batlló (1904-1906) and the Casa Milà (1905-1907), are the result of a decade of splendour that saw them emerge from the earth. 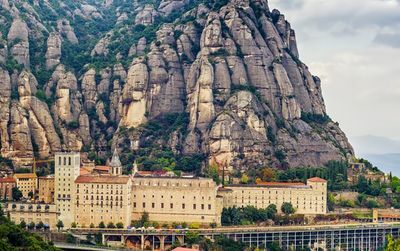 He now devoted himself entirely to the work of his life, the Sagrada Familia or the "Cathedral of the Poor" (his popular name), for which he even went so far as to ask for alms so that he could continue the work. The work is due to end in 2026, again thanks to donations from visitors. 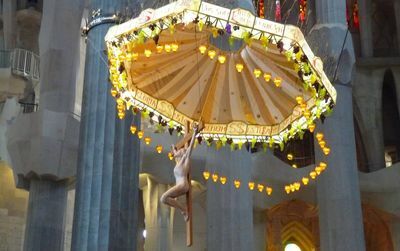 On June 7, 1926, going to the church of Saint-Philippe Néri, Gaudi was overthrown by a tramway, which left him unconscious. Taken for a beggar, without papers and of neglected aspect with his old and worn clothes, he was not rescued immediately. When he was recognized it was already too late to save him. He died on June 10, 1926, at the age of seventy-three. He was buried on June 12, in the chapel of Our Lady of Carmel in the crypt of the Sagrada Família, in the presence of an immense crowd. 100% Mobile and no queuing. 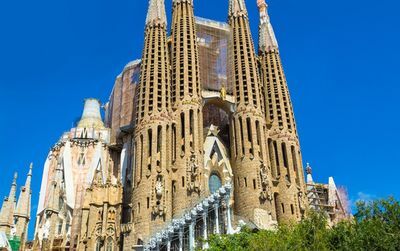 Take advantage of the electronic tickets, which you receive by email immediately after purchase, to visit without queuing Gaudi's main monuments in Barcelona. Once printed or in your mobile phone you no longer waste time at entrances. 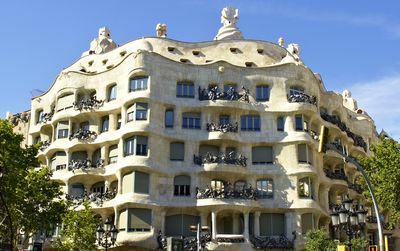 Gaudi is the great creator of this city, his masterpieces are also the most visited. Get organized before you leave! 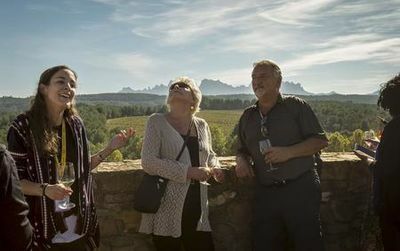 An hour and a half visit with an English speaking guide to discover all the secrets of this extraordinary architectural monument, its symbols, its history and its immense architect Antoni Gaudí. 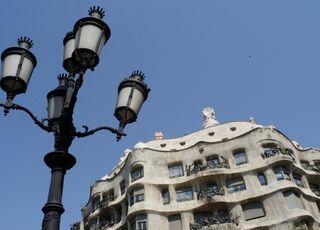 Antoni Gaudi is just an incredible genius, without him barcelona would be another city. Incredible listing of all his works, how can one build so many masterpieces in a life? Gaudi cathedral is the best in Barcelona for me. Make your choice will be hard ;-( All Gaudi's works are masterpieces. Sagrada, Guell Park and lately Casa Vicens. No time enough to see more on my first visit to this beautiful Barcelona. Will be back! every little work of Gaudi is pure emotion. 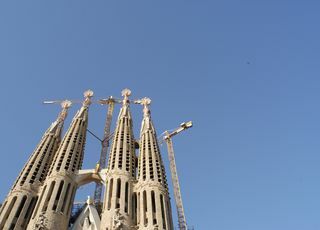 Can just tell you to take a full day to see few of it starting by la Sagrada Familia.